Lord of the Flies is a novel that has captivated schoolchildren ever since it was first published in 1954. A teacher himself, Golding clearly understood what excites and interests children. It is not only a gripping story, with strong, sympathetic characters, but it also raises timeless and profound questions. Part of its lasting appeal, particularly in schools, surely arises from the way it tackles universal issues.The novel is a catalyst for thought-provoking discussion and analysis, not only concerning the capabilities of humans for good and evil and the fragility of moral inhibition, but beyond. The boys' struggle to find a way of existing in a community with no fixed boundaries invites readers to evaluate the concepts involved in social and political constructs and moral frameworks. Ideas of community, leadership, and the rule of law are called into question as the reader has to consider who has a right to power, why, and what the consequences of the acquisition of power may be. All of these concerns are current today and can be easily related to the novel through effective teaching and learning. This new educational edition encourages original and independent thought from students, as well as guiding them through the text. The introductory material includes a biographical section on William Golding as well as providing information about the novel's historical context, which will be ideal for students completing GCSE and A-Level courses. At the end of the text there are chapter summaries, comprehension questions, discussion points and activities plus a glossary of less familiar words or phrases. 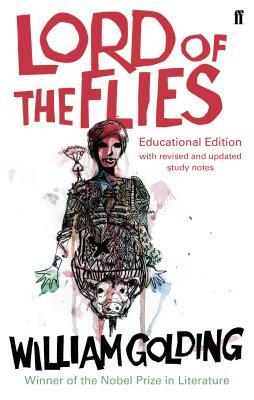 This new edition includes William Golding's essay on Lord of the Flies, 'Fable'. All of these are intended to inspire and generate creative teaching, learning and love of the novel.